Polyploidization causes ‘genomic shock’ at the genetic and epigenetic levels relative to the parental species. However, few studies have compared the genetic and epigenetic alterations during the process of polyploidization by interspecific hybridization in Brassica species. In the present study, the early generations of hexaploid derived from a triploid hybrid between Brassica napus cv. ‘Zhongshuang 9’ and B. oleracea cv. ‘SWU01’ were developed, and used to detect genetic and epigenetic alterations together with triploid and two parental lines using simple sequence repeats (SSRs) and methylation-sensitive amplified polymorphisms (MSAPs). The derived hexaploids had relatively stable karyotype (69.84% euploid chromosome segregation in S0, 100% and 72.7% hexaploid karyotype in S1 and S2, respectively) and good fertility (88.75% ± 5.43% for pollen fertility, 4.68 ± 3.25 seeds/pod for self pollination and 13.55 ± 3.66 seeds/pod for open pollination), but wide morphologic characters. Compared with the parental lines, the triploid exhibited 13.08% new SSR alleles (17 of 130) and up to 26.45% new MSAP alleles (65 of 246), indicating that interspecific hybridization caused genetic and epigenetic alterations. No change in SSRs and 33.74% alterations in MSAP alleles (83/246) was observed between the triploid and hexaploid S0, suggesting chromosome doubling only caused epigenetic alteration. On average of 39.23% ± 5.78% of DNA methylation alterations and 6.35% ± 3.69% of SSR alterations occurred among the S2, S1, and S0 generations. It indicated that genetic alteration was caused by interspecific hybridization and generation descent of hexaploid, whereas epigenetic alteration resulted from interspecific hybridization, chromosome doubling and generation descent. 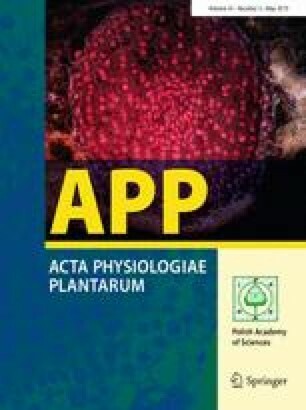 It is interesting to find stronger epigenetic changes than genetic changes brought on during the processes of hexaploidization between B. napus and B. oleracea. It also found the average genetic distance between hexaploid S2 and hexaploid S1 (SSR 0.056 ± 0.029, MSAP 0.337 ± 0.201) was further than that between hexaploid S1 and hexaploid S0 (SSR 0.023 ± 0.009, MSAP 0.178 ± 0.126), suggesting more genetic variance in the hexaploid S2 generations than hexaploid S1. The online version of this article ( https://doi.org/10.1007/s11738-019-2850-9) contains supplementary material, which is available to authorized users. This study was partly supported by the China Postdoctoral Science Foundation (2016M582500), the Fundamental Research Funds for the Central Universities in China (XDJK2016C080), the Chongqing Postdoctoral Science Foundation (Xm2016029), the Science and Technology Innovation Project of Chongqing (cstc2015shms-ztzx80005, cstc2015shms-ztzx80007 and cstc2015shms-ztzx80009). pringer Nature remains neutral with regard to jurisdictional claims in published maps and institutional affiliations.